Auckland sits above a monogenetic volcanic field. This means that rather than having one visible mountainous crater, there is an assorted mix of craters, lava flows and scoria cones spread out over a large geographic area. While each vent tends to be smaller in size than if there were just one vent, they can pop up anywhere in the field and at any time. Auckland is not the only place in the world with a volcanic field. 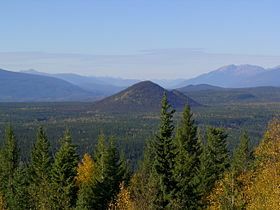 There’s one in the Cariboo Mountains in British Colombia, Canada. There’s also one in France. There’s one big difference between all the other examples of this type of volcano and Auckland’s. If you’re unsure what that might be, here’s a picture of the Auckland volcanic field. 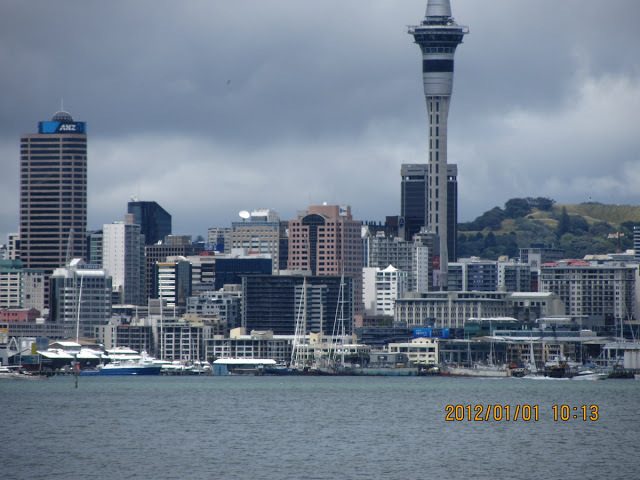 Auckland’s volcanic field has a large city built on top of it. If the new vent appears on land, it will create a hill, possibly similar in size to Mount Eden. Maybe bigger, maybe smaller. If the new vent pops up in the harbour, the mix of hot magma with cold water will create an explosion, pulverising everything within a 3km radius. Volcanologists are monitoring the field all the time. The first sign of an eruption will likely be a series of small earthquakes caused by magma moving up towards the surface. There are different types of magma: some are thick and viscous and move slowly while others are runny. Auckland’s magma is runny and will move quickly. The magma chamber is approximately 100km beneath the surface and can potentially move at 5km/hr. That gives us approximately 20 hours to evacuate. Unfortunately the location of the vent will be very difficult to determine until close to eruption. I know from my experience with the Christchurch earthquakes that pin-pointing the epicentre of a quake has quite a large margin of error. They will only be able to narrow it down with time and that is something Auckland will have little of. Posted in Auckland, Volcanoes and tagged Auckland, monogenetic volcanic field, volcanoes. Bookmark the permalink. Yes, of course. I'm not feeling anxious like I was in Christchurch but I do feel that this is not where I want to live in the long term. I'm clinging to the statistic that there's a 5% chance of the Auckland field erupting in any 50 year period which also means there's a 95% chance that it won't. I'd have to be pretty unlucky to be hit with two major natural disasters, surely.